Mobile trends: What can we expect in 2018? The number of mobile phones worldwide (as well as the time we spend on them), continue to rise. People are not just connected with, but attached to their mobile phone, making it an extremely important channel to reach consumers directly. If you want to reach a new customer, he or she must be able to find you at every step of the customer journey. How and where a customer makes his decision has changed considerably in recent years as more consumers start and end their search on their mobile phone. Since the mobile phone is playing an increasingly important role in the life of the consumer, the success of companies in 2018 rests a great deal on their mobile presence. More and more consumers lean towards mobile. They want the ability to find products on their mobile phone, pay via secure apps and contact companies through their usual channels. So, it’s up to companies to decide whether they want to give these options to their customers. Even though many companies don’t believe in it yet, the technology is ready for it. Whether it concerns loyalty programs, marketing campaigns to bring attention to your brand, securely logging in to your online platform, offering easy payment options or automatically sharing delivery information. We ensure that businesses can use all mobile technologies at every step in the customer journey. Then, let’s discuss 'the next big thing' in mobile communication. Google's new messaging solution ‘RCS’ promises to expand messaging as we know it. RCS (which is not the final name of Google's messaging product) is a messaging service for Android that works as SMS, but comes with more features for richer communication. These are features such as typing indication, receipt confirmations, sending media files and communication over WiFi. It is said that RCS will even become the replacement for SMS, but is that really the case? Because of all these new features, we can expect RCS to become a good addition to SMS as a communication tool that helps you reach and involve customers, a great tool for customer interaction and marketing. However, RCS is only available for Android. We expect both ways of communication will continue to exist alongside each other, and they can both be deployed depending on your company, purpose and target group. The arrival of RCS offers you the choice not only to share text via SMS, but to also send media files via RCS. And because CM is a partner of Google in the deployment process of this new messaging solution, our customers will be able to implement it right from our platform. Every day, consumers process hundreds of impressions from companies asking for their attention. To make your company stand out amongst all mobile messages they receive, you’re going to have to need different approach. As a result, more and more companies are adding rich communication to their marketing strategy, allowing them to send photos and videos. But there is another trend emerging: voice messaging. For what better way is there to make your company stand out than to send a personal message spoken in your own voice? Because of the benefits of voice campaigns, we’ve seen a growing use of voice in companies’ marketing strategies. Especially when used in combination with other channels like SMS, voice makes sure your message really is heard. And sending voice messages will also become easier next year, as you will be able to use CM’s Campaigns app. Moreover, starting 2018, using voice may be done at lower costs. Because while the ending of the year is typically the time to compare energy suppliers for their rates, why not investigate how CM can lower your costs in SIP Trunking? Although there currently is no official WhatsApp for business, this probably won’t take much longer. The arrival of WhatsApp will come to the delight of many companies. With over a billion active users and 55 million messages a day, OTT messaging service WhatsApp is an excellent place for businesses to reach their customers, and vice versa. We know for a fact that WhatsApp for business is on its way. What everyone is wondering, is when, and how they will be able to use it? KLM for example has started a pilot for a Business account on WhatsApp. When booking a flight, consumers can opt-in for WhatsApp as a channel for flight updates, boarding passes and customer service. If this pilot becomes a success, we can expect WhatsApp’s availability for other companies. Although we don’t know what WhatsApp for companies will look like exactly, we can already say with certainty that integrating this platform into your marketing strategy will be a great added value for customer satisfaction, reach and revenue. This is only a small selection of mobile trends for 2018. Mobile payments, online identification and the GDPR will play an important role in communication between companies and consumers. 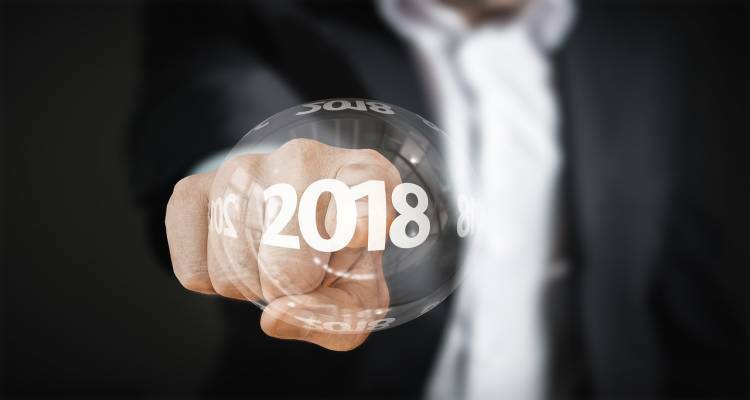 Read more about the trends for 2018 on our blog page or contact us to find out what we can do to prepare your company for the mobile future.